Theodore Honey is a scientist, a small man with a face like a frog and a lack of what we would today call people skills. He is fascinated with pyramidology, psychic phenomena, historic migrations (both animal and people) and interplanetary travel. These and other subjects occupy his spare time. During working hours he is an employee of the Royal Aircraft Establishment at Farnborough, where he is presently preoccupied with metal fatigue in aircraft. In 1948, the time of this story, metal fatigue was only a theory. Having requisitioned a tailplane from the new transatlantic passenger plane, the Rutland Reindeer, Mr. Honey is subjecting it to the types of stresses encountered in flight to determine whether the metal 's properties will suddenly alter and become crystalline. By his calculations, this should happen at around 1,400 hours. So far, so good, until his boss (Dennis Scott, the story 's narrator) discovers by chance that a Reindeer that recently crashed in Labrador had done nearly the same number of hours- and no one can say for certain that metal fatigue was not the cause. Visiting the scene of the crash and examining the evidence is suddenly of the utmost urgency, and Scott sends the scientist out to do it. En route to Canada, Mr. Honey discovers that (a) he is flying in a Reindeer, and (b) it has done 1,422 hours. He is unable to persuade the captain to turn back, and the plane continues on to Gander. There, still unable to convince the crew of danger, he retracts the plane 's undercarriage, landing himself and Scott in the most appalling trouble. Is Honey a genius or a crackpot ? He lives in a squalid house with his 12 -year -old daughter. He dabbles in planchette, has never seen a dishmop, doesn 't use a hotwater heater. Yet his research is meticulous, no matter how farfetched the subject. And he is defended in the days following the Gander incident by two beautiful women, each of whom brings Scott a message from the scientist. These circumstances combine to push Scott way out on a limb when, at a hastily convened emergency meeting, he defends Honey 's actions in the face of the Reindeer 's irate designer, E.P. Prendergast. If the scientist 's hypothesis is correct, the entire Atlantic fleet of Reindeer will have to be withdrawn from service, an international black eye for Britain's aeronautics program. Only the crashed Reindeer in Labrador can prove or disprove it. So Scott journeys to Canada even as Mr. Honey returns to England. Eventually, he reaches the main crash site, only to find that the tailplane is missing. If it came off during flight (which would support the theory of metal fatigue), it could be anywhere in the dense forest, and he despairs of finding it. Honey hears of these developments, and shortly thereafter presents himself in the Director 's office with directions to the tailplane 's location. The Director is unimpressed, partly because the directions are somewhat opaque but also because, beleaguered though the R.A.E. may be, it is not yet ready to endorse planchette as a method of scientific enquiry. This latest difficulty is resolved by one of the story 's large and engaging supporting cast, a cast that includes film star Monica Teasdale, stewardess Marjorie Corder, and Scott 's wife, Shirley, all of whom come to the aid of Mr. Honey and his motherless daughter Elspeth. 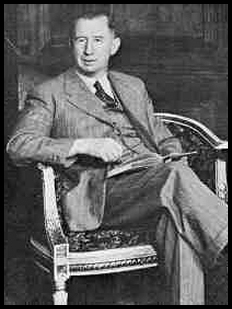 Presaging real -life problems with metal fatigue a few years later, No Highway earned Nevil Shute a reputation as something of a seer. But scientific discovery aside, this is a story about the scientific mind, and its portraits of scientists and their peccadilloes amount to a gentle admonition to beware of judging people by appearances. As Farnborough 's Director observes during the hilarious emergency meeting of boffins and bureaucrats, "I should be sorry to see the R.A.E. staffed entirely by correct young men in neat, conventional civil service clothes, with neat, conventional civil service minds." Shute 's own restless intellect led him to explore strange places and even stranger ideas, and he was thus well equipped to portray the mind of the scientific theorist. He chose to do so during one of its periodic collisions with reality, when the sum of human knowledge leaps upward and mankind 's horizons become suddenly wider. We owe a great deal to the Honeys of this world, and this entertaining tale reminds us of it.